From city buses to entry/exit turnstiles, public transportation utilizes a wide range of equipment. Most of that equipment requires accurate, reliable motion control to ensure proper performance and safety. Miki Pulley designs and manufactures high precision motion control solutions for numerous public transportation applications. 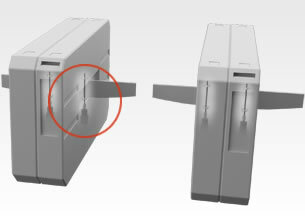 In the above example, a Miki Pulley ALS coupling and 111 model brake are used in a subway terminal turnstile. The two devices work together to provide dependable performance and a long working life, which is important for high-repetition, constant-use applications like this one. 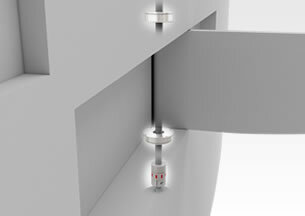 The ALS coupling provides a cost-effective, easy-to-install method of connecting two shafts. This simple, jaw-type coupling offers minimal backlash and more than ample precision for the task at hand. It is designed to absorb vibration and shock, and transmits more than twice the torque of other jaw couplings. The 111 model brake holds the gateway in place when moved to the open or closed position. Ideal for sudden stops, this low-maintenance device is available with three different armature types to meet the needs of a broad range of applications. Request a quote on the shaft couplings, clutches, brakes, and other motion control solutions your transportation application requires. Or, contact Miki Pulley to learn more.